Recently, I moved to a new place in Costa Rica. As is usual for a birder moving to a new place, I couldn’t wait to see what the new yard would bring. 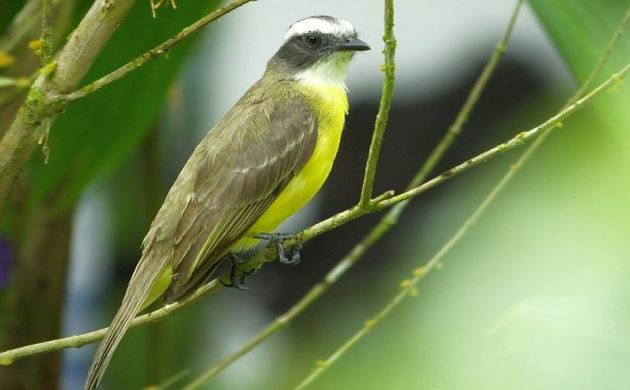 Although it was nothing like going from New York to California or even Buffalo, New York to North Carolina, a change of location, however slight, can bring new birds especially in Costa Rica. Around here, the small changes tend to be amplified by differences in elevation, microhabitats, and urbanization. My recent move may have been a few kilometers away but it is lower, warmer, and it came with a few differences. Back in the old place, there were more birds in the nearby coffee farm but it wasn’t easy to bird because I couldn’t see it from my door and there were stray dogs. In the new place, although I’m not as close to large areas of green space, thankfully, a farm is just across the street and even better, a riparian zone is just down the road! 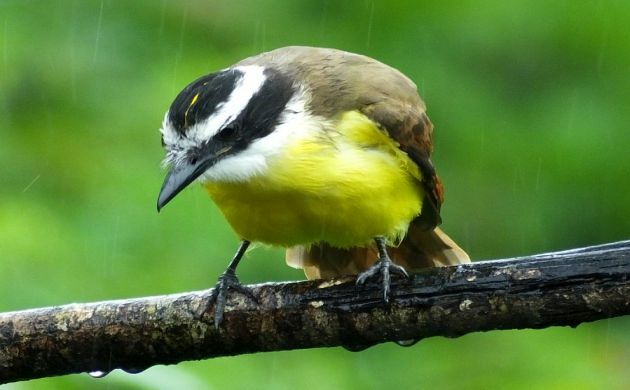 This is especially important because even if the stream itself happens to be a polluted disaster, the stuff that grows next to it is a veritable lifeline for birds. 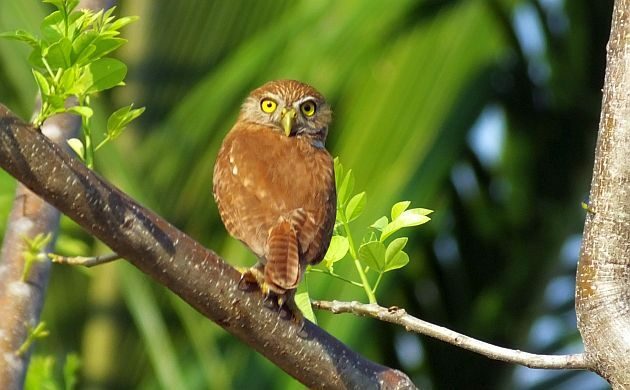 Stuff wanders in, others things wander out and in the meantime, birds like Ferruginous Pygmy-Owl, two species of caracara, flycatchers, Clay-colored Thrushes, doves, and others make themselves at home. This afternoon, I watched the edge of that green space, my new erstwhile home patch, and worked on a new yard list. 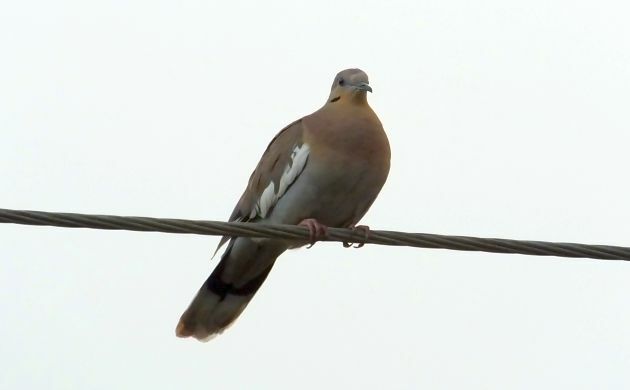 I noticed that the raucous calls of the Brown Jays from the morning were replaced by the cooing songs of White-winged and Inca Doves, and that some neighbor has an Indian Peafowl (I wish we could use that one for a Big Day, it would be an easy tick!). 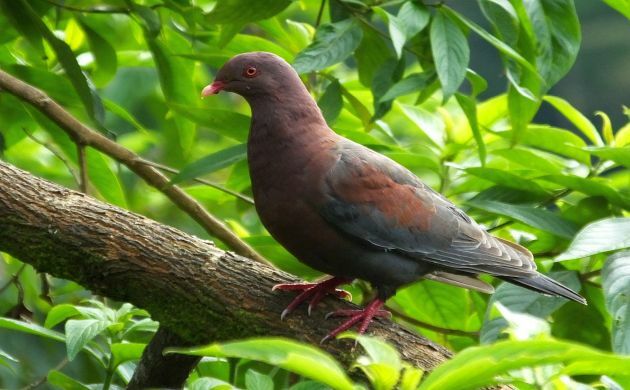 I also saw the other, most common Columbid in Costa Rica, the Red-billed Pigeon. The local Spanish name for it, “Paloma Morada” or “Purple Pigeon”, is a better descriptor than one for a bird that actually has a white bill. The wrens were represented by two species, Rufous-naped and House Wrens although there must surely be the common Cabanis’s Wren around as well. 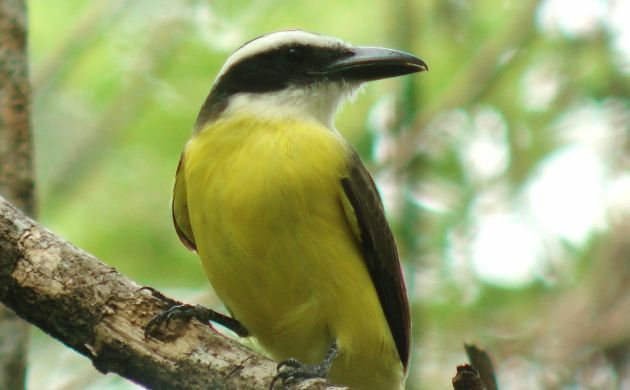 Looking a lot like a Carolina, this one tends to be harder to see if just as loquacious, and is common in coffee farms and other low, brushy habitats. 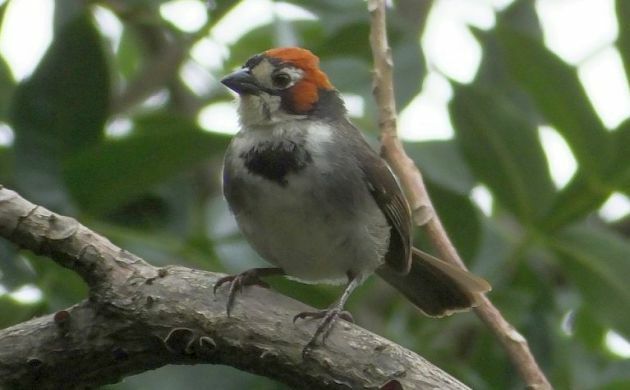 Speaking of birds that have Cabanis in their name, although I have yet to detect the rare Cabanis’s Ground-Sparrow, the habitat dictates that there should be some in the neighborhood. Maybe somewhere else in the riparian zone, hopefully a few will eventually forage in sight of my front door. 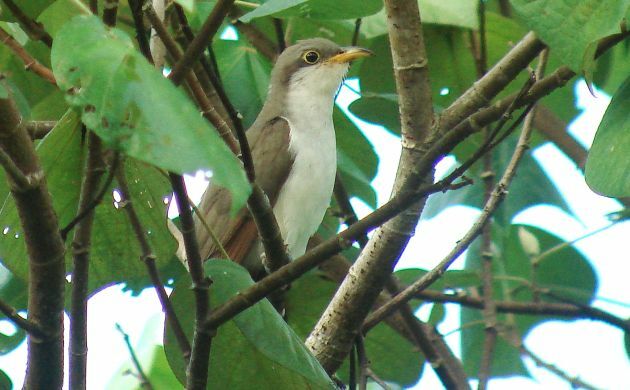 The bird we hope most to see is the endemic Cabanis’s Ground-Sparrow although Mary wants to see a Barn Owl just as much. Migrants are also around, this afternoon had a calling Summer Tanager, Tennessee Warblers, and a Yellow Warbler. Some other migrants could occur, and as with any place where migration happens, I can’t wait to see what the north winds bring! Other birds are also possible, one day a Ringed Kingfisher flew over, we have heard Barn Owl, and on a recent evening, Mary and I glimpsed a probable screech-owl zip over the car. Experimental playback from our yard went unanswered although we will surely have to tell our upstairs neighbors why we were standing out there in the dark with binoculars, a flashlight, and a small speaker. Maybe they will take interest? Maybe they will shy away from us and bolt the doors. Either way, the yard list will go on in this new place. I can’t wait to see what else we find, I can’t wait to see the other birds we will eventually share. Wandering around at night with binoculars is a perfectly reasonable thing to do and easy to explain to a fellow birder, but it is not such an simple sell to the local police who are responding to a prowler call-out. Lady Helen always insists that she will disown me if I am brought home in the back of a patrol car.